Rothchild Law Office is led by attorney Barry Rothchild, who discovered his passion for helping injury victims while attending The Ohio State University Moritz College of Law. Since the firm’s founding, Barry has been committed to helping Ohio residents who have suffered injury and loss through no fault of their own due to negligent conduct of others. When you rely on us to help you recover money after a car accident, motorcycle accident, truck accident or other accident which was not your fault, you can be assured that your case will receive personalized, one-on-one attention. 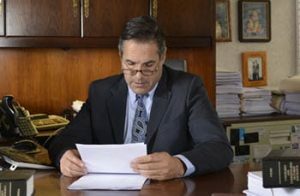 Barry Rothchild will work on your case to make sure that everything is handled in a timely and diligent fashion while making sure that you understand ALL of your legal options. In every case he handles, Barry Rothchild makes sends his clients a copy of every letter which leaves his office. In that fashion, you will be fully informed of the status of your claim at every juncture in the proceedings. Further, if you have any question about your case, Barry Rothcihld encourages clients to call his office and voice their questions. As a client of Rothchild Law Office, Barry Rothchild realizes that you are what is truly important, and therefore, you will be personally taken care of from the first day of the legal relationship until the case is concluded. We understand the challenges and frustrations injury victims face as you attempt to recover from your injuries, pain, and inconvenience, while attempting to juggle personal finances. We understand that you may be forced to pay for accident-related property damage and repair expenses, as well as potentially medical expenses, which are not your fault. At Rothchild Law Office, we are here for you — to answer your questions, provide legal guidance and fight to recover compensation under the law. After an accident, your time and attention should be devoted to regaining your physical strength so that you can resume all of the activities you previously enjoyed. Unfortunately, painful and disabling injuries may prevent you from returning to work quickly or enjoying time with your family. Additionally, mounting medical bills and other case related expenses can cause stress and anxiety for the accident victim while also creating serious financial hardships. You should not have to focus on repairing the damage done to your life. By hiring Barry Rothchild as your attorney, you can relieve stress and worry and focus on your physical recovery. At Rothchild Law Office, we know the devastating toll that injuries such as broken bones, spinal cord injuriesand traumatic brain injuries can take on your physical health, personal relationships and financial security. We know what you seek is physical well being and hope. Therefore, we will do everything in our power to obtain the compensation you need to move forward with your life. To learn more about personal injury lawyer Barry Rothchild, follow the link below.